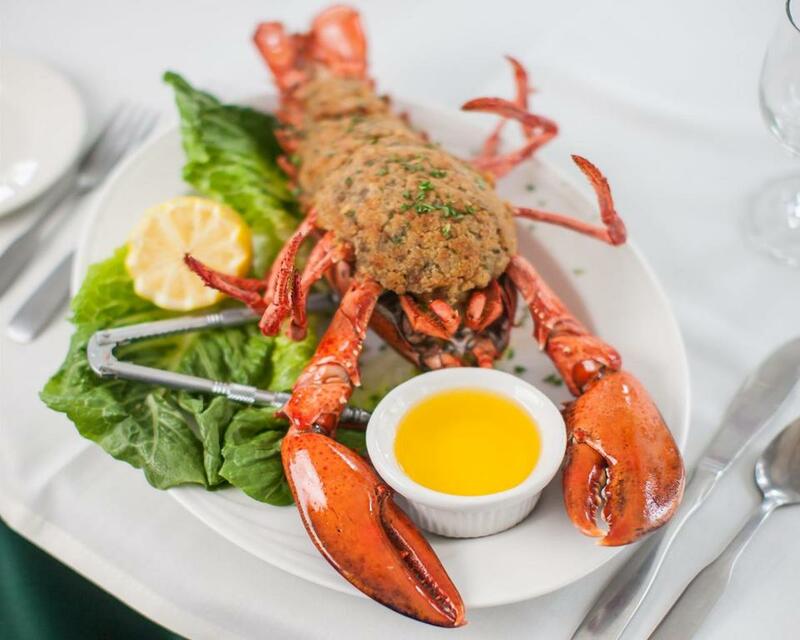 The baked stuffed lobster at The Wild Rose Restaurant at Stonehurst Manor. 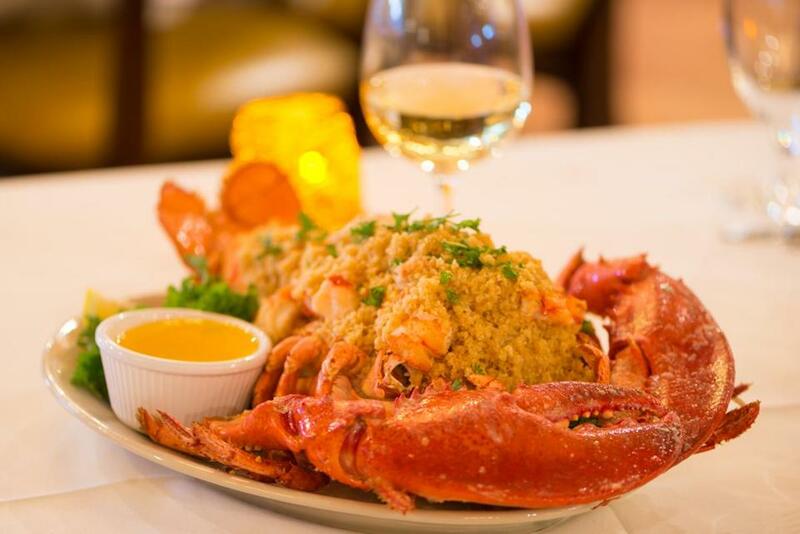 Baked stuffed lobster is served year-round here and flies out of the kitchen during the summer. And it is a looker. “It is one of those dishes that, as servers carry them past tables who have not decided on an order yet, we notice a big sudden burst of orders from those tables who saw it walk by,” says co-owner Erik Hynes. Baked stuffed lobster at the Empire Grille at Venus De Milo in Swansea.